Coast Shuttles, Airport Transfers and Charters. 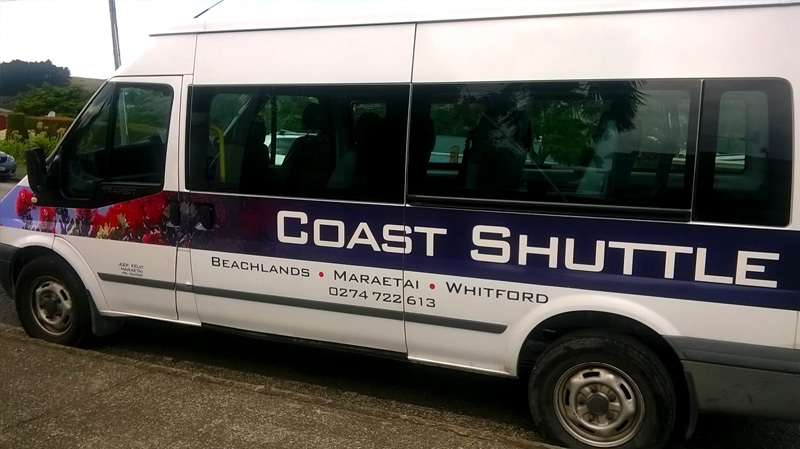 Coast Shuttles - servicing and promoting the Pohutukawa Coast & surrounding districts, including Whitford, Beachlands, Maraetai, Clevedon, Kawakawa Bay, Orere Point, Hunua. Coast Shuttles operate an airport shuttle bus service to and from Auckland Airport. 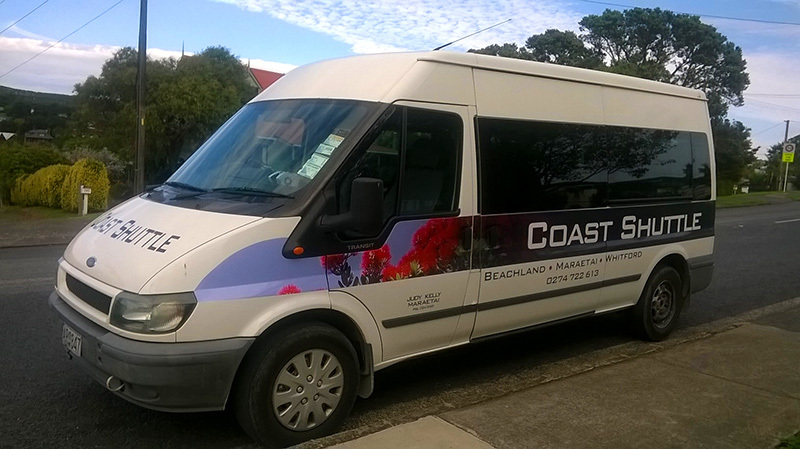 Coast Shuttles also specialize in small group bookings and sightseeing tours around the local region. 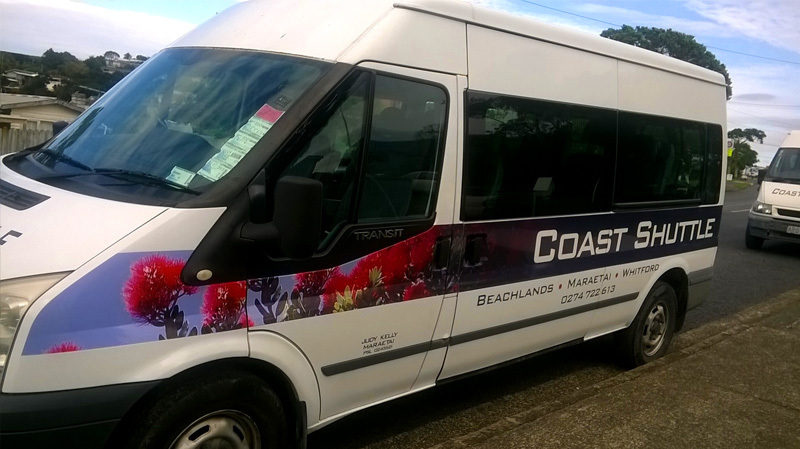 Coast Shuttles is also proud to be servicing and promoting the Pohutukawa coast & surrounding districts. Our Shuttle bus will deliver you door-to-door via Auckland International or Domestic airport 24 hours and all year round. Call us to Book now, on (09) 536 6488 or call 027 472 2613.